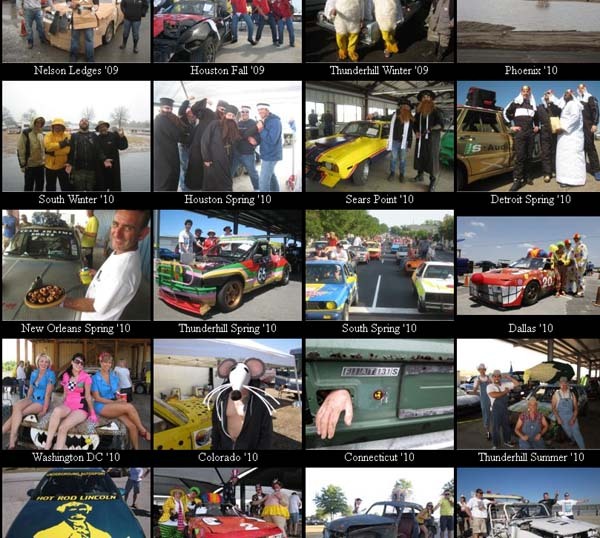 I’ve been covering the 24 Hours of LeMons as a journalist since 2007, and I started doing a BS Inspection roundup post for each race in early 2009. The BS Inspection, which takes place on Friday (unless it’s a 24-straight-hours race, in which case it takes place on Saturday), is where you see all the team costumes, admire all the cars with ill-advised engine swaps before they blow up, and watch the panic of the teams whose cars are nowhere near ready to go. A lot of good stuff gets coverage in the BS Inspection posts, stuff that often gets overlooked afterwards due to the excitement of the race, and so I’ve put links to all those posts in one place. Enjoy.